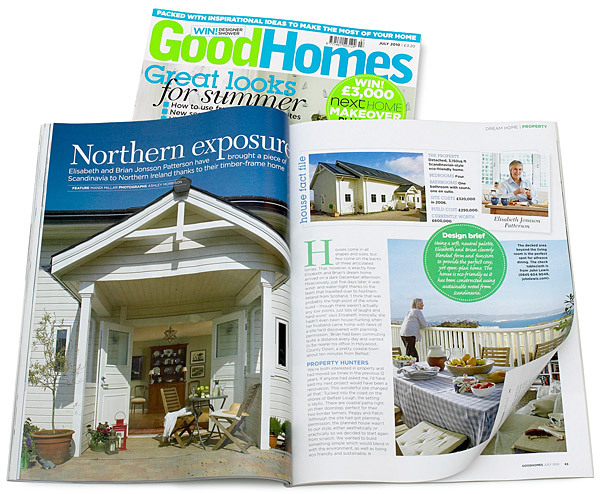 .. on pages 62 to 69 – featuring Elisabeth and Brian Patterson’s Norwegian timber framed house near Holywood in County Down. So a big thank you out to Marie, Mandi, Brian & Elisabeth – for all their hard work – and to everyone at GoodHomes magazine for the wonderful 7 page spread. 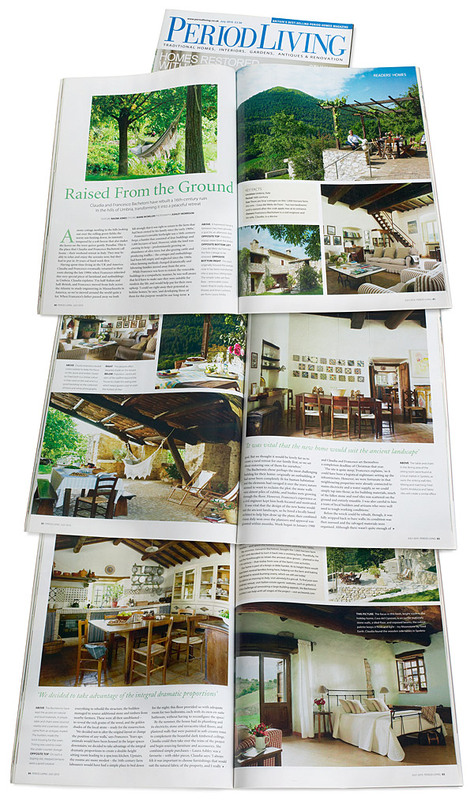 .. on pages 82 to 86 – featuring Claudia and Francesco Bachetoni’s 16th-century borgo which is part of the Pianciano hamlet near Spoleto in Italy. There is the July issue, which looks great – particularly thanks to the Bachetoni feature you did for us – we’ve all fallen in love with it !! So a big Thank You to Claudia and Francesco for all your hard work here – and to everyone at Period Living magazine for this wonderful 7 page spread – from Marie, Mandi & me.